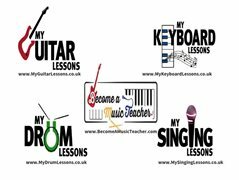 ‘Become A Music Teacher’ are looking for individuals nationwide to run either singing, guitar, drums and piano teaching businesses. * Ability to play your musical instrument or sing to a reasonable level. When applying please leave your name and contact details including the instrument/s you play, an email address and telephone number by visiting the 'Become A Music Teacher' website and selecting the ‘contact us’ tab.